Comments: Grows in saline soils. Honey made from its nectar is highly prized. It exudes salt from the underside of its leaes. Leaves eaten by one kind of butterfly larvae. Associated with south Florida's coastal marshes and the south Texas tidal flat marshes. 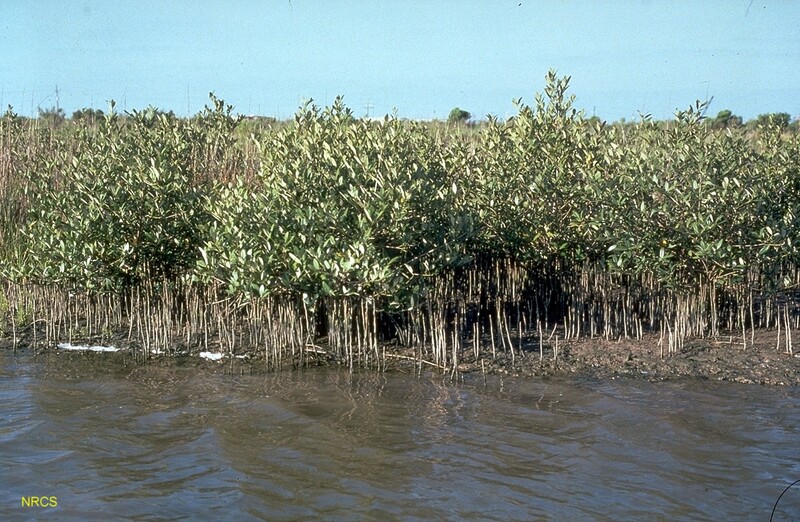 In most tropical marshes of the deep South, mangroves compete to replace marsh grasses as the dominant vegetation. The fleshy green seeds may float to new sites in salt water for up to four months. Cannot tolerate temperatures much below 28 degrees F.